We met Joe as one of our first clients. He ended up taking over a director role at a large market research agency and was tasked with using our deep listening tools to supercharge their research offerings. From the first meeting, it was clear Joe got empathy. He has an uncanny ability to listen intently and embrace another's challenge and view point, surface the key issue and address that. All in a very upbeat, motivating fashion. So, it was no surprise that we were aligned around retooling that market research industry. Then, it only made sense for him to come and lead our deep listening products for insights and human understanding. 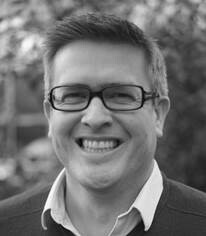 So, without further ado, meet Joe Wheller, our Managing Director with Smiles for Miles. Aside from my wife, I live with three children, two chickens, and a cat; every morning is the survival of the fittest. Assuming I make it through breakfast, I’ve spent the past twenty years working in market research in the belief it is the democratisation of capitalism; if the consumer votes “no”, the businessperson had better listen. Until now, people have generally felt better technology has meant a better life; motor trumps mule, mobile beats morse. But, I think there’s growing consternation that technology is not only making life better, but it is now actually better at doing life! It is one thing to shout at a wifi-connected light-bulb to switch on or off and another to be prepared to take your hands off the steering-wheel and accept that the technology driving you is probably safer than you yourself. We’re going to have to get used to that feeling of being a backseat driver. Overload. There’s just so much stuff, we’re not sure where to focus; so, we instinctively seek sources that simplify and filter. This has led to one of the most overused words of our times, “curated”; even menus are being “curated”. But, regardless of my antipathy toward the term, there is a potential problem. We lean toward using filters/curators that we feel comfortable with. We then get fed a diet of what we like and approve of. We fail to be challenged and we fail to understand opposing views. The echo-chamber approves of everything we say and suddenly our mental and emotional perceptions are being manipulated. To some extent, this has always existed; some people have opted to, for example, only read The Guardian and others, only The Times. But, there was at least a sense of choice in the hands of the individual. A difference now is that companies are owning algorithms that trace past behaviour to provide you a stream of similar perspectives. The stream has been chosen for you; they are owning the data, they are influencing your perceptions. A step-change will be the re-democratisation of data where individuals can own their data and choose whether to share it or not as well as having the opportunity to ‘re-filter’, or even ‘re-curate’, on their own terms; people first. People deserve better; better products, better services, better communications. Companies need to make choices; what to develop, what service to offer, and how to communicate. If the consumer votes “no”, the company will be in trouble. ‘Measuring’ emotion is not measuring tears of joy versus tears of sorrow, it is about assessing whether or not propositions resonate with people; have they been engaged? Emotions are important to my work because they help identify what will make things better for people and what activity will help companies succeed. Whilst there are many definitions of what market research is, in the end it is about listening to what different people think and feel - rather than telling them what to think and what to feel. What I’m working on now gives me the chance to see how these different groups are reacting and challenges me to understand these different perspectives. We’re deepening our global footprint, look out for our Asia-tour. We’re looking forward to meeting up with our partners there. Thatchers cider and Godminster Cheese are really the only delicacies worth having. All else are rubbish. It is forward looking; it is the shared recognition that emotion shapes perception and there’s the need to build the tools that can help companies reframe the relationship they have with their customers.